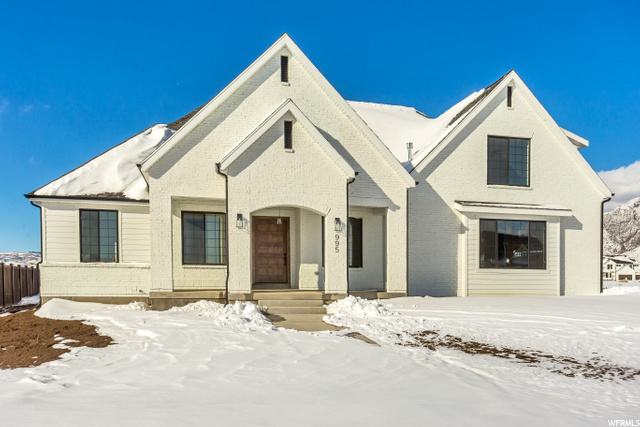 All Highland homes currently listed for sale in Highland as of 04/24/2019 are shown below. You can change the search criteria at any time by pressing the 'Change Search' button below. If you have any questions or you would like more information about any Highland homes for sale or other Highland real estate, please contact us and one of our knowledgeable Highland REALTORS® would be pleased to assist you. "This magnificent Highland estate is all about the active family lifestyle. The property consists of 3.2 acres at the end of a quiet cul-de-sac with gorgeous horse pastures, a huge barn that can also be used as a detached garage or gathering space (there is covered parking for 12 vehicles), a tennis court with basketball hoops, the ultimate children's playground, a lawn ideal for soccer games, a garden, and beautiful mature landscaping. A major renovation and remodel of the home was just completed and the detail and finish work is spectacular. At the center of the home is a stunning kitchen that opens to a great room, semi-formal and formal dining areas, a formal living room, and a remarkable kid's area. The main-level master suite is the perfect combination of elegance and comfort with vaulted ceilings, an attached nursery/sun room, and direct access to the back patio. There is a total of five bedrooms, plus a study, exercise room, theater room, large basement great room and kitchen and much more. A remarkable blend of luxury and livability make this one of the most incredible properties in the area." 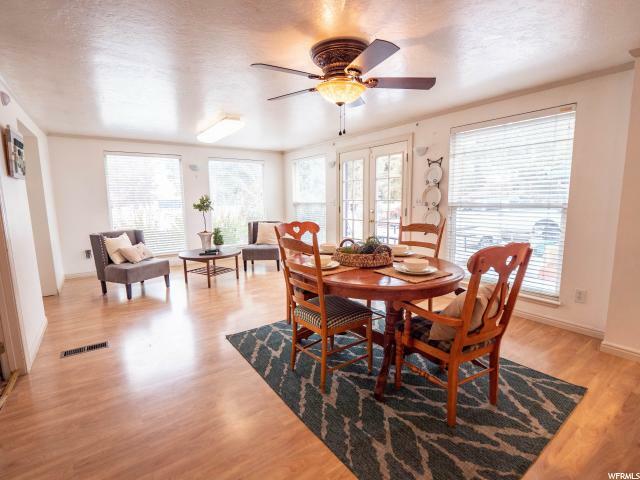 "Welcome to the MOST desirable Neighborhood in Highland, close to all amenities, conveniences, schools, yet nestled in a the foothill of the Utah /SL county border. This Home is Stunning!!! Magnificent finishes throughout the entire home, every upgrade imaginable. Gorgeous Design inspired by Studio Mcgee. This entire home has been completely renovated! Great floor plan, beautiful White oak hardwoods, designer Lighting fixtures, and all the other amazing finishes of this home make it a rare find in Highland! Beautiful NEW feeling home, Great Lot, Best neighborhood Around..... Basement has high ceilings, walkout daylight and under garage Theater Gym potential! The Yard is HUGE and Flat, perfectly usable! Surrounding by 7 years of Parade of Home winners! YOU must SEE IT! Furnishings and Decor Not included in purchase price, but Negotiable!" 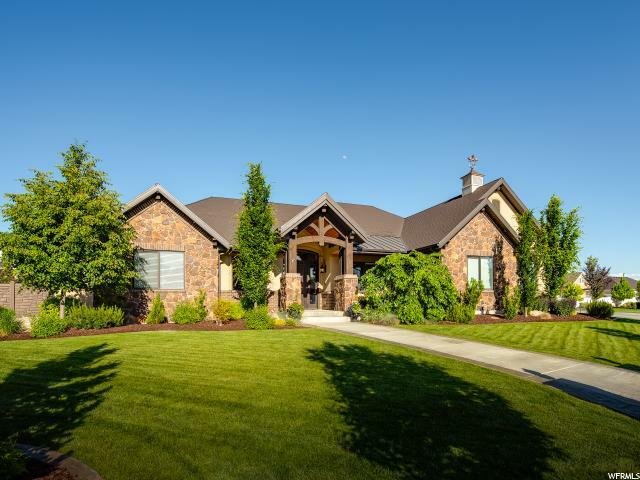 "Beautiful custom home featuring large entryway, vaulted ceilings, and spacious kitchen and great rooms. Kitchen is a chef's dream with built-in fridge, two dishwashers, double ovens, Wolf range with double griddle, grand walk-in pantry and ample counter/cupboard space. Top floor has a bedroom, full bath, small kitchenette, and a spacious game area. The master bedroom is on the main floor with vaulted ceilings, a large walk-in closet and beautiful spacious bathroom. This home also features a drinking fountain, central vac, second full kitchen downstairs, large laundry/craft room in the basement, exercise room, cold storage, a grand theater room and an underground garage for ample storage. The backyard features an RV pad, beautiful pool with a diving board and slide, along with an in-ground hot tub, gazebo, mature trees with beautiful landscaping and garden boxes. This home has been beautifully maintained and is a must see!!! Square footage figures are provided as a courtesy estimate only. Buyer is advised to obtain an independent measurement. Agent is related to the seller. " "This unbelievable, one-of-a-kind property is now available for the very first time ever! One could not recreate this home and setting for twice the price anywhere in the Highland/Alpine area! Own your own private retreat as a respite from the world with your own trout pond feed by a waterfall and a forest and stream surrounding this most tranquil of settings! Literally acres of trees protect your privacy and serenity! The property is replete with fruit and vegetables growing everywhere! Corn, potatoes, apples, plums, pears, tomatoes and berries of all kinds. It even has your own green house for raising vegetables all winter! This is just the grounds of this magnificent estate property! PLEASE SEE the attached documents for the complete description of this incredible French Country style home." 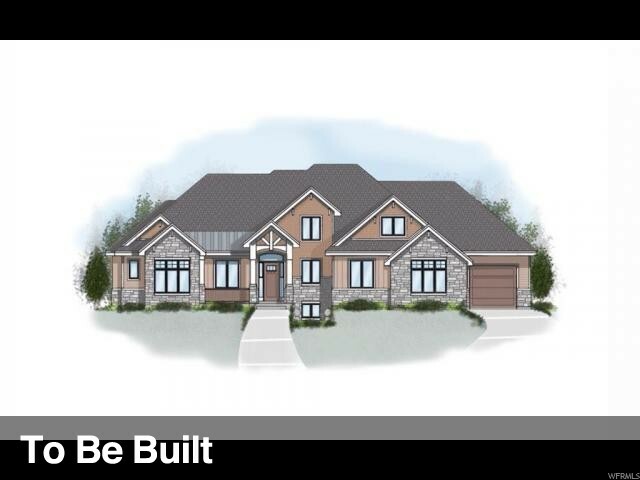 "AWARD WINNING quality with this custom home to be built by Highland Custom Homes. With over 40 years of combined experience in custom home building you can rest assured that your home will reach the highest standards in quality and design. 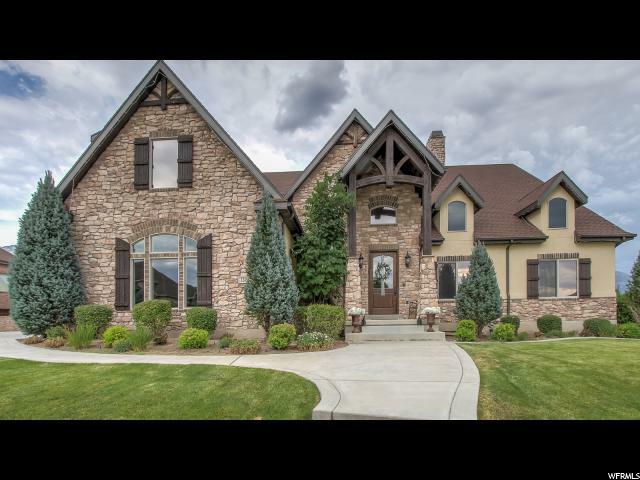 Highland Custom Homes has worked hard to identify and team up with leading professionals in design, d cor, and financing throughout Utah. This home offers the best of everything in an unbeatable location. Take in the mountain views while still within minutes to spectacular golf courses, dining, shopping and family entertainment. Minutes away from hundreds of miles of trails, American Fork Canyon, Thanksgiving Point, and Traverse Mtn. Outlets. 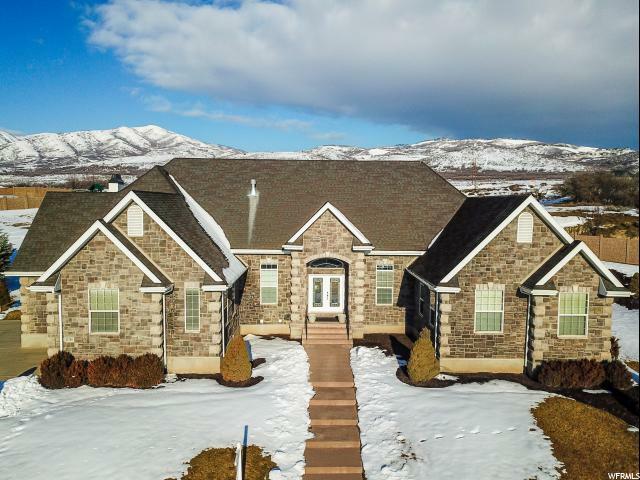 Easy access to both Utah and Salt Lake valleys. Within boundaries for American Fork or Lonepeak High School. Call/text today for more information on this floorplan and others! " "**DON'T MISS OUT ON THIS SPECTACULAR HOME!! ** Price recently reduced. 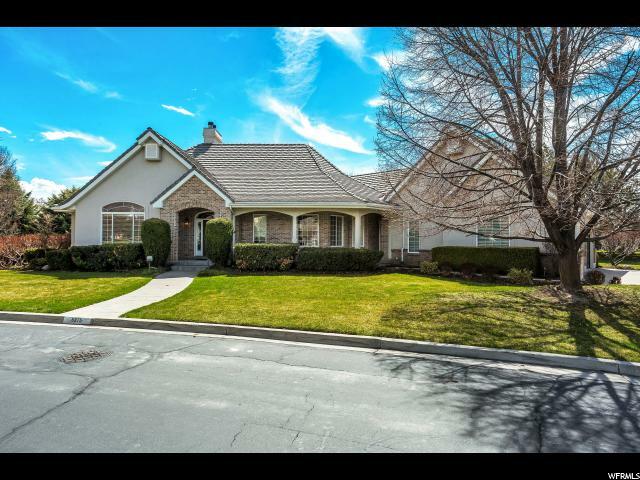 This 2007 Parade Home is located in the highly sought out Twin Bridges - Highland neighborhood. This home offers unique details & quality craftsmanship! Open indoor/outdoor living spaces including a large kitchen with Wolf/Subzero appliances & 2 beautiful outdoor patios with hot-tub. Spacious master bedroom/bathroom on main level with large walk-in closet. Extras include daylight walk-out basement, home theater room, bonus room, 2 expansive storage rooms ,outdoor fire-pit area. 5 car garage with over-sized 2 car big enough to fit a boat or RV. Professionally landscaped & maintained yard that offers spectacular views of Mt. Timpanogos. Its a MUST see!!!!!" "PRICE REDUCED & MOTIVATED SELLER! This beautiful custom home has an open floor plan and is the perfect place for hosting friends and family. The stunning views of the mountains can be seen from the front and back windows of the home. Finished with an eye to detail, there are many built-in features throughout the home. The main kitchen, complete with double ovens and an extra large fridge, is a chef's dream. The basement has a separate 2 bedroom/1 bath apartment- complete with it's own outside entrance. The apartment has a large kitchen and extra parking. There are separate laundry facilities on all three floors. Beautiful plantation shutters adorn the windows and there are balconies with views of the mountains on all sides of the house. A large covered deck in the backyard, leads to a private orchard- complete with apple, cherry and pear trees. This beautiful home sits on one acre of land and has animal rights. The views and location are highly desirable. This home is move-in ready and won't be on the market long. It's a must-see for the pickiest of buyers. " " The stately European architecture and circular drive creates a welcoming sense of arrival at this exceptional home. 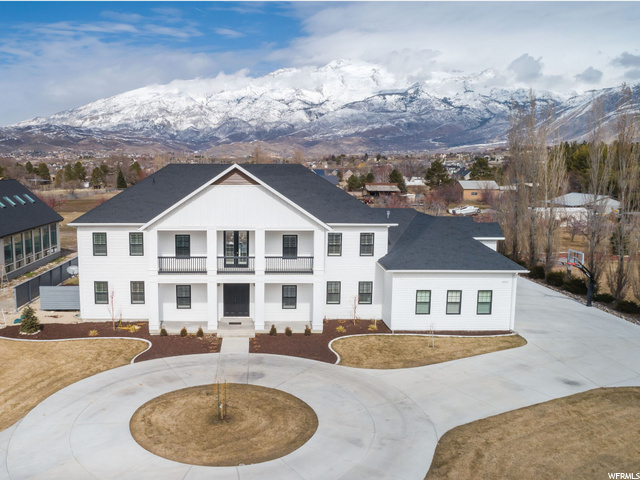 Located just minutes from the emerging tech community in Utah County and access to I-15, you'll feel like you're a million miles away as you drive into this upscale neighborhood with plenty of room to relax. The home has been designed with some unique features. The entry opens to a two-story, vaulted great room with French doors opening onto a covered patio. All six bedrooms have adjoining bathrooms and each have French doors opening to outdoor patios, some being private. There are essentially two master suites a popular feature for families who may need space for elderly parents, grown children or deluxe guest accommodations. The walkout basement has a new entertaining kitchen perfect for parties and family gatherings with easy access to the large outdoor, lighted patio space. The craftsmanship, upgrades, and the neutral color palette throughout the home lends itself to classic traditional or a more transitional style. The large windows throughout create tons of light and beautiful views of the landscaped, private grounds that surround the home. The big swing hanging from a mature tree in the backyard beckons kids of all ages to come out and play! There's plenty of room, and easy access, to add a swimming pool or sport court. Additional features include commercial grade kitchen appliances, smart home tech, 3-gas fireplaces, RV parking, built-in storage, central vac, and more. " "AMAZING Highland Custom Homes 2013 Parade Home offering perfection in every detail! This spacious home showcases a beautiful gourmet kitchen with extensive high quality cabinetry throughout, leathered granite counter tops, large, hidden door butlers pantry complete with separate dishwasher, refrigerator, sink, etc., spectacular great room with vaulted ceilings and large fireplace, exquisite master suite and bath with over-sized shower, and separate entrance to the deck that overlooks the beautiful and professionally landscaped yard, water feature and walk-out. Basement level features a large full kitchen, great room, 2nd full master suite with separate entrance to the patio, full laundry room, incredible over-sized tri-fold glass walk-out patio doors that open-up to the gorgeous patio and outdoor gas fire rock! Would be an ideal and gorgeous Mother-In-Law apartment! Tons of beautiful and well crafted built-in's and enormous well thought out storage throughout this home. Also equipped with an elevator and is wheel chair accessible. High-Tech Dream Home and so so much more! You really MUST see all the features this beautiful home has to offer! Square Footage is a courtesy estimate only and were obtained from County Records. Buyer is advised to obtain an independent measurement." "Amazing custom home with tons of upgrades throughout: wood shutters & beams, rock pillars, built ins and high-end granite & travertine! Must see to believe. Picture windows with gorgeous view of the mountains and valley! Gourmet kitchen with huge walk-in pantry , Large custom theater & Master with walk in closet. Close to hiking trails, shopping & AF Canyon. Located across from a park in a coveted Highland family friendly neighborhood and in the much sought after Alpine school district. Square footage figures are provided as a courtesy estimate only and were obtained from the county. Buyer is advised to obtain an independent measurement." "Development parcel with house or horse set up. Borders Alpine city 2 driveways. has a great shop backs to a park. shown with a few hours of notice please. no unaccompanied persons , please . needs a little wok but this is a big farm Owners have oped out of interiors"
"SPACIOUS & BEAUTIFUL! This TO-BE-BUILT Rufus floor plan may be the most perfectly designed rambler on the market. The open family room with its high ceilings and a chef's kitchen provides a great space for memorable family gatherings. The master suite on the main floor provides a refuge for rest and rejuvenation. The basement has a spacious guest suite that is separate from a large two-bedroom apartment with its own private entrance. " "GRAND HOUSE IN HIGHLAND features MASSIVE open concept foyer/kitchen/dining/family area. Main level also incl office (w/French doors), master en suite, 2 bedrooms, laundry & guest bath. Lower level incl spacious family & theatre rooms, 3 bedrooms, bath & storage. Designed by an artist, you'll find finishes like quartzite counters, an antique mirror backsplash & a wine frig in kitchen; wainscoting in family room & master; painted cabinetry throughout; venetian plaster in office; marble counters, antique claw foot tub, barn wood wall & herringbone tile in master bath; antique corner sink in laundry w/hand-laid, herringbone brick flooring; vintage light fixtures & hardware--including a stair railing that was once an antique brass foot rail in an old bar. There's also a Fort Knox vault room. Main has 10' ceilings, 9' doors; lower, 9' ceilings. GREEN/ENERGY EFFICIENT--power averages $150/mo. Extra high, wide & deep 5-car garage (w/office/storage room above). Expansive 3/4-acre lot, bbq & firepit piped for gas, fully fenced, garden plot, pressurized irrigation, drip irrigation in flower beds. 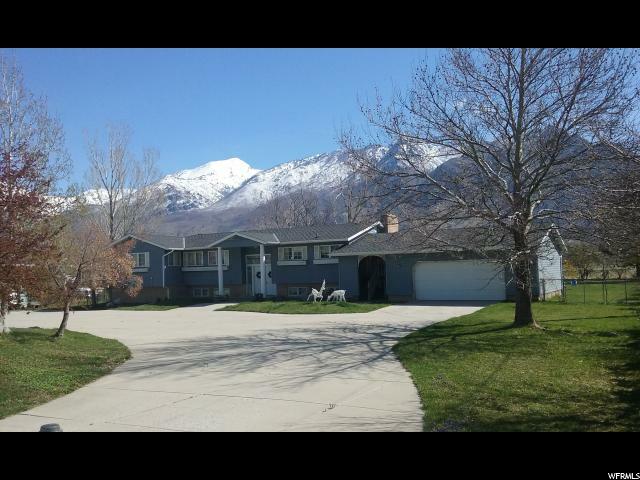 Conveniently located just off Timp Hwy in Highland." "Are you looking for a place to call home with animal rights and 2.07 acres of land to enjoy all the space for gardening, recreational fun, family gatherings and much much more? Come check out this beautiful land with a rambler remodel or build your dream home in the heart of Highland!. 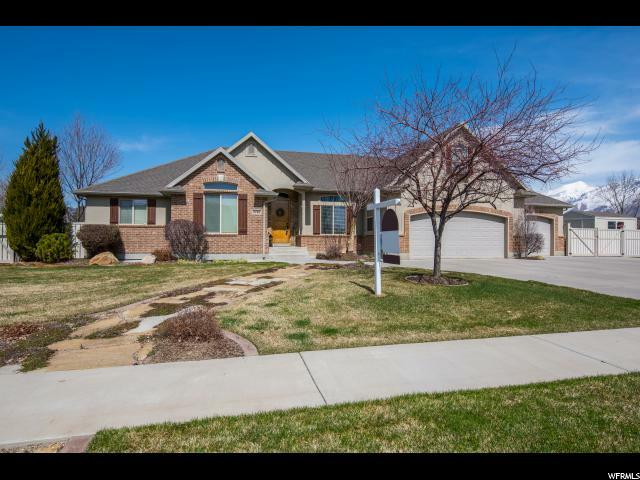 You'll love the quiet country style living with a rural atmosphere and yet conveniently located minutes away from Silicon Slopes. This home features two masters, one having an independent outside entrance on the main floor and the other in the basement. Nearby schools and parks are just walking distance away. Pressurized Irrigation. Square footage figures are provided as a courtesy estimate only and were obtained from the county. Buyer is advised to obtain an independent measurement. Home being sold as-is. " "Country living at its finest. Ranch style home with main floor living nestled on the perfect horse property, with over an acre and a half of private land, you have space to farm, garden and entertain your family and friends. Enjoy the fruits of your labor harvesting from 2 cherry trees, 2 peach trees, a nectarine tree, apricot tree and 6 apple trees, plus ample room to garden your favorite seasonal fruits and vegetables. Never run out of space with abundant storage throughout the home and massive detached garage to fit all your recreational vehicles including an RV. Recently renovated, you'll appreciate the new flooring, paint, roof, and gutters in addition to the new water heater, furnace, AC condenser, and lighting fixtures. With a separate entrance and kitchenette, the basement serves as a great mother-in-law apartment. Other features include: fire pit, convection double ovens, central vac, and home audio system in your master bedroom, family room, kitchen, and patio. Call to schedule a private tour today! Buyer/Buyer's agent to verify all information. " 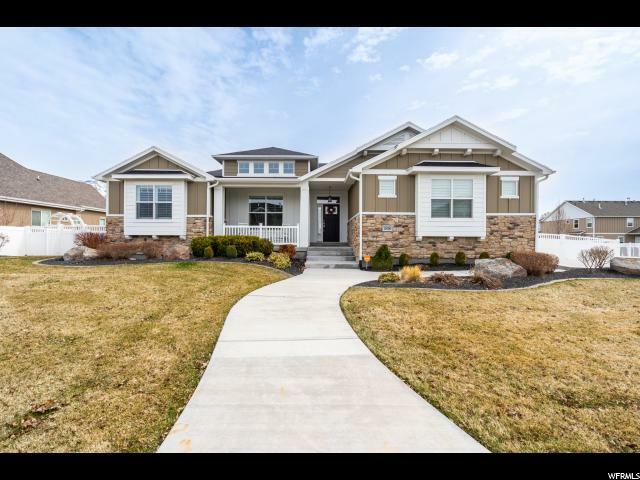 "Nestled at the end of a quiet culdesac in the exclusive Hidden Oaks subdivision, this home is just minutes from Silicon Slopes. Timeless, mostly brick traditional style and floor plan. In an established high-end neighborhood adjacent to the Alpine Country Club. Grand travertine entry with sweeping staircase. Formal living room and dining room with large windows. Lots of privacy allows for drawn blinds and lots of natural light. Executive office with alder wood built-ins. Large kitchen with massive granite island and a six-burner thermadore range. Spacious living with vaulted ceilings throughout. Cozy family room with fireplace and custom entertainment built-ins. Master suite with fireplace. Oversized bedroom/bonus room. 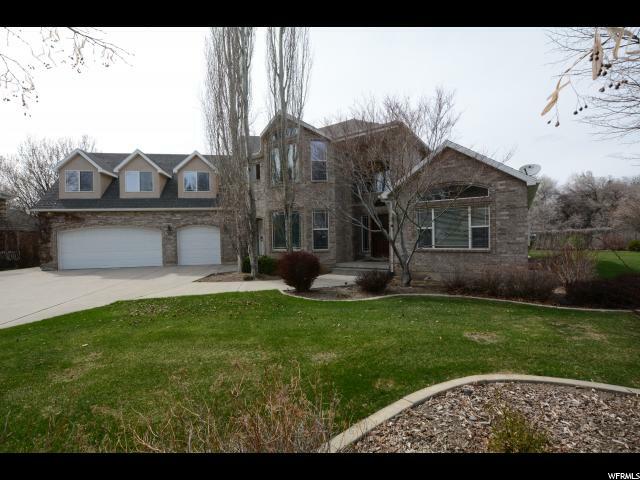 Updated paint, granite countertops, wide hallways, large rooms, and an entrance to the basement from garage. Mudroom with drinking fountain. Laundry has two washers and dryers and sink. Two 50 gallon water heaters. Mature landscaping. Community provides private walking trails, tennis, playground and has the AF River running through it. " "**Open House Saturday April 27th 2 to 4 PM! **Wowza! This home is beautiful inside & out- If you love entertaining & outdoor living; this is a must see. Let's start with the home! This custom rambler has 7 large bedrooms- 3 on the main floor, 3 in the basement & 1 upstairs with a large bonus room/loft/playroom. Open living room & kitchen area with a nice fireplace & dining nook. Don't miss the craft room off the kitchen & large laundry room & mudroom- so functional & smart. Flooring is a nice mix of slate, hickory & newer carpet. The basement is large & fully finished with a basement entry, theater room & is stubbed for wet bar/kitchenette. So many other features to note: central vac system, granite & solid surface counters, tons of storage throughout, double sinks & more! Now for the yard! It is big (almost an acre!) & fully fenced with ample room to play & entertain. Everyone will enjoy the big trex deck, large stamped concrete patio with pergola, hot tub & firepit. There is also a dog run, shed, garden boxes, tramp, play gym & volleyball area. The 3 car garage is oversized & extra deep with plenty of room for all your toys. There is plenty of parking for an RV & guests. 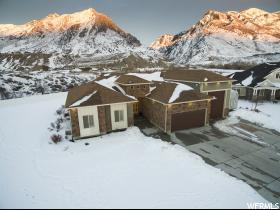 Settled in an ideal location, within minutes of freeway access, shopping, & American Fork Canyon! You have to see it in person! " "Custom built rambler with everything you could ever want. The new owner of this home will feel like they are the first one to ever move in. It's in perfect condition. Enjoy owning the destination where everyone comes to gather. Every detail of this home was thought of before it was executed, including the placement of the home on the lot. No expense was spared. Come see how your life will improve by living in this custom experience. Save over $100K instead of building new by moving into a home with the basement, fence and yard already complete. " "STOP the Car! This True Contemporary Modern Floor plan built by Americas #1 Home Builder. Located in the award-winning community Skye Estates. Near top public schools and close to shopping. Also 5-7 miles from Silicone Slopes and top 5000 inc. companies. Nestled in the Suncrest Hills near world renowned ski resorts and hiking and mountain biking trails. Too many features to mention. A must watch full 3-D Tour. Also has community club house and private community pool with a recreation center. Cost per ft makes for great opportunity. " "Come discover the best-kept secret in Utah County. Bull River offers all the magnificent beauty and calm seclusion of living in a natural mountain landscape, without actually having to live in the mountains. 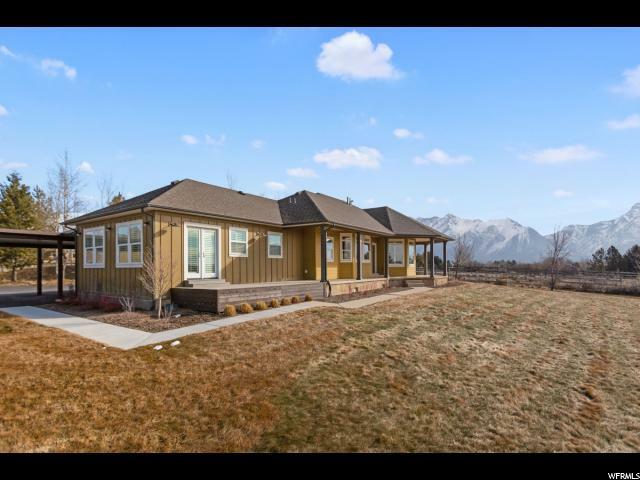 This completely remodeled Bull River home sits on two acres, full of light and unobstructed million dollar views. From the kitchen, dining area and living room soak in the seasons enjoying pristine winters, bright green then golden summer grasses, and brilliant fall colors. We hope you like deer, wild bunnies and birds galore. All your friends and family will want to move in. And they can because this home has a beautiful two bedroom, private bath, full kitchen, main-level mother-in-law apartment with its own deck. Plenty of parking and an extra-wide driveway are perfect for accommodating numerous guests. The 1,280 square foot garage/studio/shop is heated and ideal for all of your special projects or favorite hobbies. French doors and sidelites on the south end flood the space with light and inspiring views. Don't miss the rare opportunity to live in this gorgeous setting surrounded by wonderful neighbors who genuinely care about preserving the community and integrity of this truly unique area." "OPEN HOUSE GRAND OPENING Saturday 4/27, 2:00 - 4:00 PM. Escape to the main floor master suite featuring marble countertops, custom shower, spacious walk-in closet, and built-in bidet. The great room boasts soaring vaults with expansive windows, a fireplace for cold winter nights, and a mesmerizing view. This home offers both formal and informal spaces making it perfect for entertaining. The truly gourmet kitchen features a wolf gas range, wolf double ovens, and microwave, the best of everything. The refrigerator blends perfectly with the custom panel overlay. This family home leaves you wanting for nothing with 2 fireplaces featuring custom mantels, bonus room with on-suite, luxurious entryway, living room or office, basement entrance, kitchenette downstairs, exposed beams, hardwood, and travertine flooring. Enjoy the over-sized deck and patio that will surely enrich the quality of living. The perfect location with every detail addressed. This extraordinary home is a MUST SEE! " "Custom rambler on a cul de sac with an incredible over-sized master suite with fireplace, separate shower and tub, private deck with beautiful mountain views. The grand entry draws you into a spacious layout made for entertaining offering both informal space in the great room while also providing a formal living room and dining room. The fabulous kitchen offers a huge island with seating for 6, double ovens, gas range and more. The home boasts single level living with additional space in the basement that features a basement entrance. 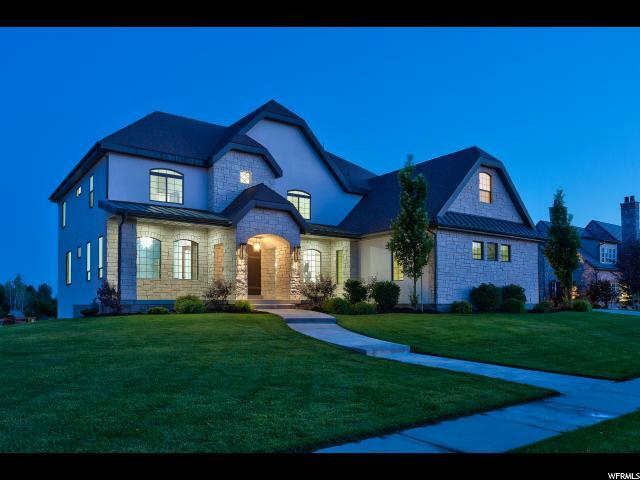 This home is a stunner and truly a one of a kind, come see it for yourself." "This is the last available lot left in the very desirable Mountain Ridge Community. 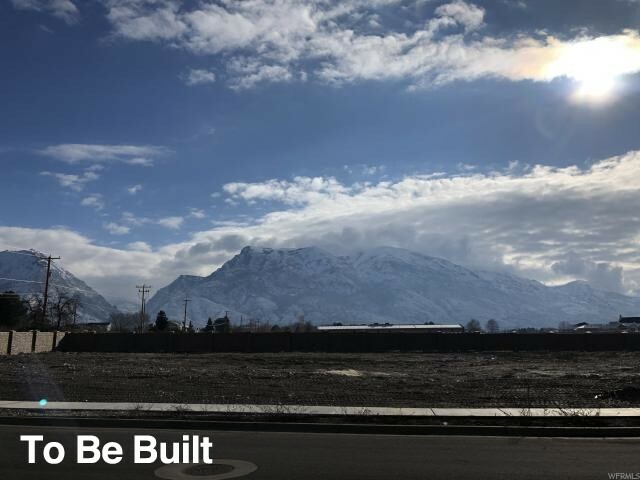 This home will be west facing and backing a future city park with beautiful views of American Fork Canyon. We are planning on building our extremely popular Jaden-Max floor plan. There is still a little time to build a different floor plan or change options that have been selected if you hurry. This amazing community and lot will be gone very soon, don't let it pass you by. **Pictures are of previously built Jaden-Max floor plans." 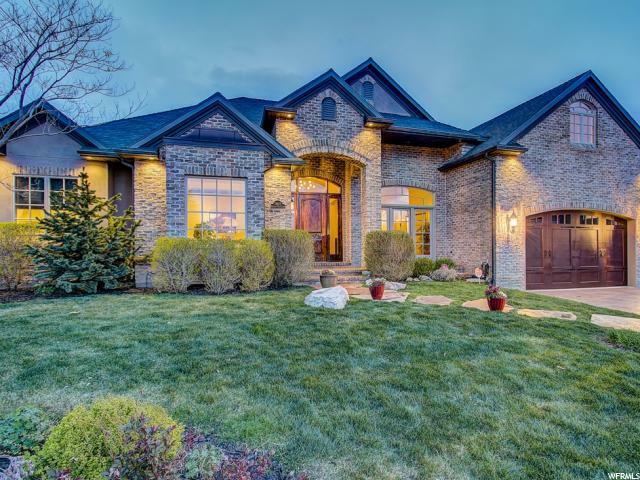 "Located on the 17th fairway of the Alpine Country Club, this high quality custom home is situated on a serene lot perfect to escape the worries of the world. Mature pine trees, a secluded park across the street, a water feature in the backyard, main floor living, a walk out basement, this is one of a kind quality. Special features include a craft room, an office with gorgeous built in cabinets, a theater room, speakers throughout the house, nice storage in the basement, large cold storage, beautiful hardwood floors, a covered deck off of the master and kitchen ideal for quiet summer evenings, vaulted ceilings, 3 car garage, and so much more. 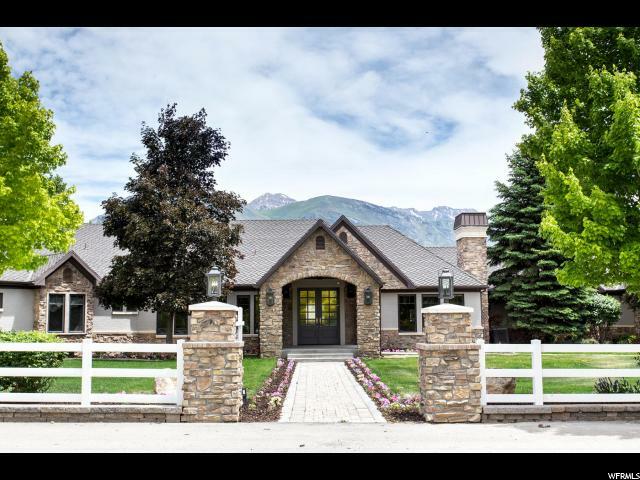 With shopping and restaurants down the street, the Alpine Country club a golf cart ride away, the mouth of American Fork Canyon with all the recreational outdoor activities you could dream of, this is one home you're going to want to see . "